This Thursday we are hosting our Grand Opening! Stop by and say hi if you have a chance. Can't make it? No worries, you can still enter our draw for 4 tickets to do a Zip Line & Bobsleigh Ride at C.O.P! Now that's an experience! To enter just sign up for our weekly update. The winner will be emailed on September 30. After a couple of months in our new home we have our feet under us and we are ready to celebrate our Grand Opening. 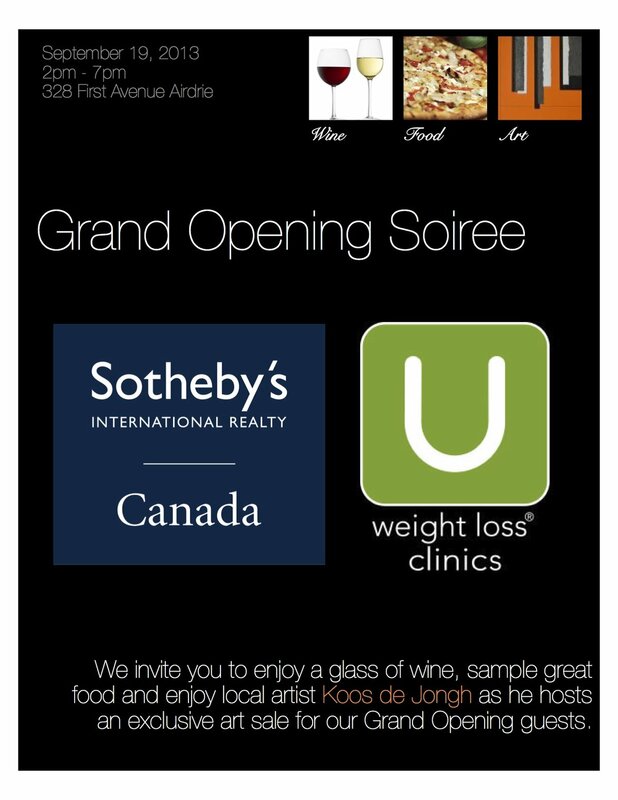 We hope you can drop by to say hello, enjoy a glass of wine, great food and beautiful art! According to statistics released by the Calgary Real Estate Board, the Airdrie Real Estate market had another strong month in August with 134 MLS® sales.